For my job, I have to do a tremendous amount of public speaking. This wouldn’t be nearly such a big deal if I didn’t suffer from rather severe stage fright. I’ve never been good at speaking in front of large groups; however, on a daily basis I have little choice but to get up for hours at a time and make presentation after presentation. I’ve tried many remedies: xanax, liquor in my coffee, even deep breathing and positive affirmation. However, there is only one cure that ever really worked–cannabis sativa. Preferably as big a joint as possible. However, reeking of marijuana smoke rarely works as a real world actuality, and I have had to go to great lengths if I wanted to prepare myself discreetly. Enter medical edibles. With a wide variety of edibles available at most Orange County dispensaries, now I have an easier option for medicating before taking the stage. I began using Cheeba Chews about a year ago to deal with my social anxiety. Personally, the sativa chews are the bees knees, but you can get the quad doses in indica and hybrid as well. They have even introduced a CBD only version for pain relief. Cheeba Chews are just a bit larger than a 6 by 2 Lego piece and are softer than their closest living relative, the tootsie roll. If they become too sticky in warm conditions, they suggest tossing it in the freezer for a few minutes to firm it up. The taste isn’t too far off from a tootsie roll either. A bit more bitter, Cheeba Chews own this unique flavor to their advantage. A full quad dose will get you 70 mgs of THC, about the potency of a joint, according to their website. A single dose will get you about 1-2 bowl hits. These must be some hits of fire bud, because I feel these numbers downplay what these little darlings are capable of. While a full quad dose is enough to drop me into a dreamy haze, with bursting red eyes, I find that a quad to a third is enough to carry me through half a work day at an even, happy temperament. Taken 20 minutes or more before I am set to begin a presentation, I find that Cheeba Chews take the edge off enough to ease me on stage. Choosing a sativa chew also helps because it adds mood elevation to its anxiety control and even makes me chatty and personable. The high is always consistent, always clean. This is another selling point for me. The last thing I want is to become too stoned for a lecture, leaving me unable to perform my job. 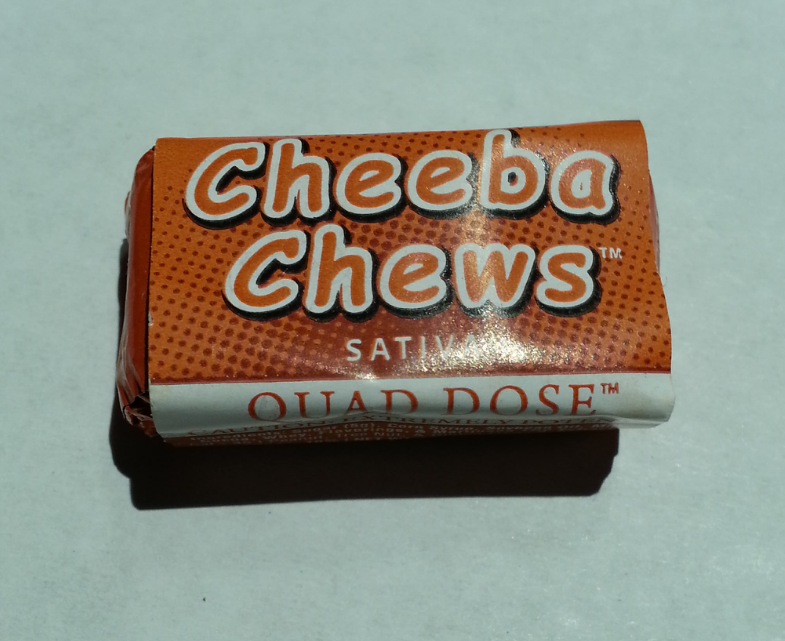 While other edibles are poorly labeled or have wildly varying effects between doses, Cheeba Chews are perfect. Every time. Reviewed before in a marvelous flower from one of my favorite shops, now closed, in Garden Grove, Super Lemon Haze is a perfectly blended indica/sativa hybrid of Lemon Skunk and Super Silver Haze. This time out, we are reviewing a wax medium of this person favorite strain from Orange County Patient Care in Santa Ana. There isn’t much of the original sweet citrusy zest that you can taste when smoking Super Lemon Haze as a flower. All thicker wax seems to have an aftertaste for me that takes away from the original essence. Although it’s not as flavorful as a shatter or a nice green hit of flower, it’s still a light vape with slender hints of sweet citrus and cleaner. Even out of my Cloud, it was fresh and expansive in the base of my lungs. It’s not nearly as harsh as a darker wax would be. This sample from OCPC is a bright brown, but it is visibly shiny with crystals. It is a great working consistency, where at room temperature it can be handled by hand. I easily pulled out pieces of this concentrate and rolled it into a small ball to load my vape without a hint of mess, yet it isn’t too dry to create a lush cloud of vapor. 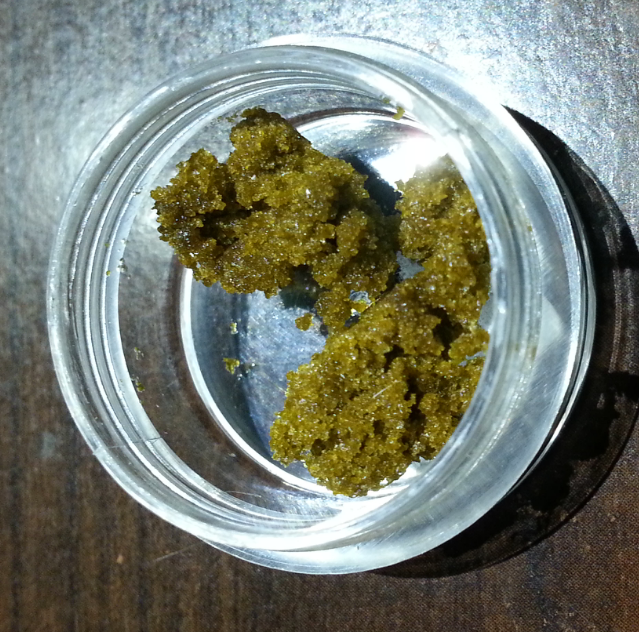 The high off of Super Lemon Haze is well balanced between both sativa and indica effects. There is a fine social quality to this strain, and even a practiced introvert like me was looking to chat up strangers. There is a fun quality to SLH that I thoroughly enjoy. It is a great for mood elevation, and joined with its pain relieving properties from its indica genetics, I could see this strain helping anyone getting over injury or chronic pain that is also experiencing depression as a side effect.